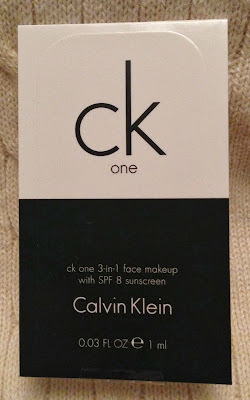 For today's Sunday Sample I gave Calvin Klein's CK One Color 3 in 1 Foundation a try. 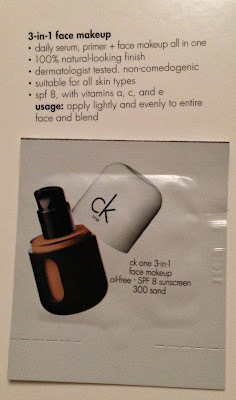 It is an oil free Serum, Primer and Foundation with an SPF 8. I got this sample with one of my Ulta orders as this foundation is available exclusively at Ulta and Ulta.com. 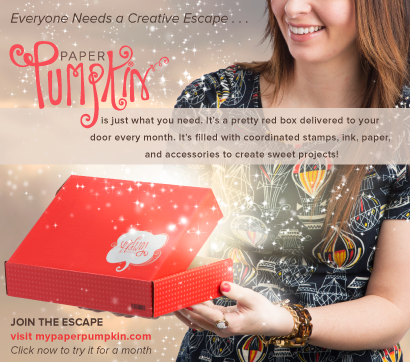 The full size is $30. 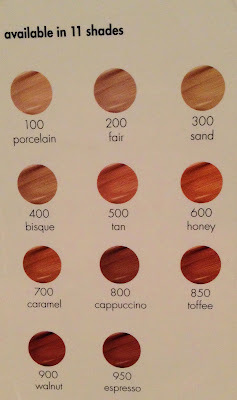 It is available in 11 shades and my sample was 300 Sand. This card tells you some of the claims this foundation makes. It is a Serum, Primer and Foundation in one. As a Serum, it nourishes with Vitamins A, C, and E.
Because I only tried this once, I can't speak to the serum aspect of this foundation, but vitamins are always good! 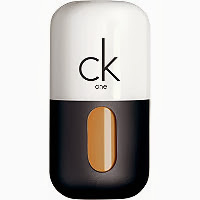 As a Primer, it gives a smooth, flawless finish with shine control and extends the wear of makeup for up to 11 hours. I can totally support this claim! I wore this foundation for 12 hours and not only did the foundation look good all day long, but my bronzer and highlighter stayed put longer as well. As a Foundation, it gives a natural look while perfecting your skin tone and it's Oil Free with and SPF 8. 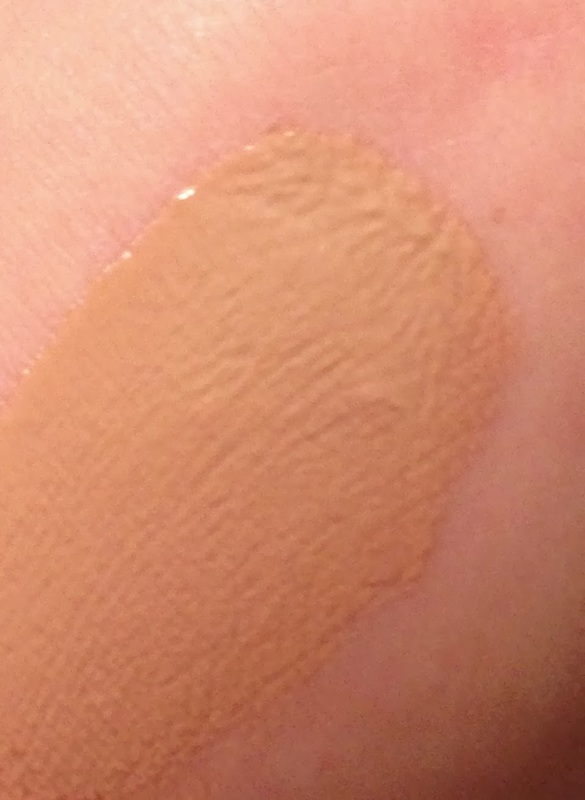 This foundation has light-medium coverage and a very natural look. I have a lot of redness and it was able to cover and even out it all, while still looking natural. This time of year I spend very little time outdoors and SPF 8 is enough for me, but come Spring I would need more. 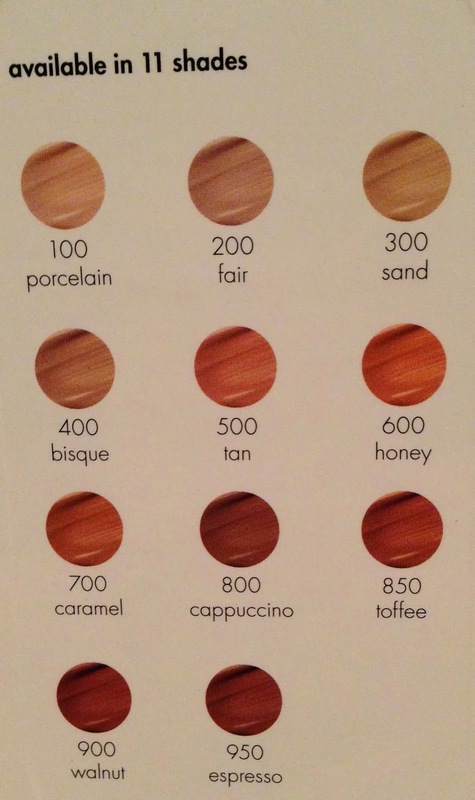 As you can see, shade 300 Sand is a bit too dark for me. 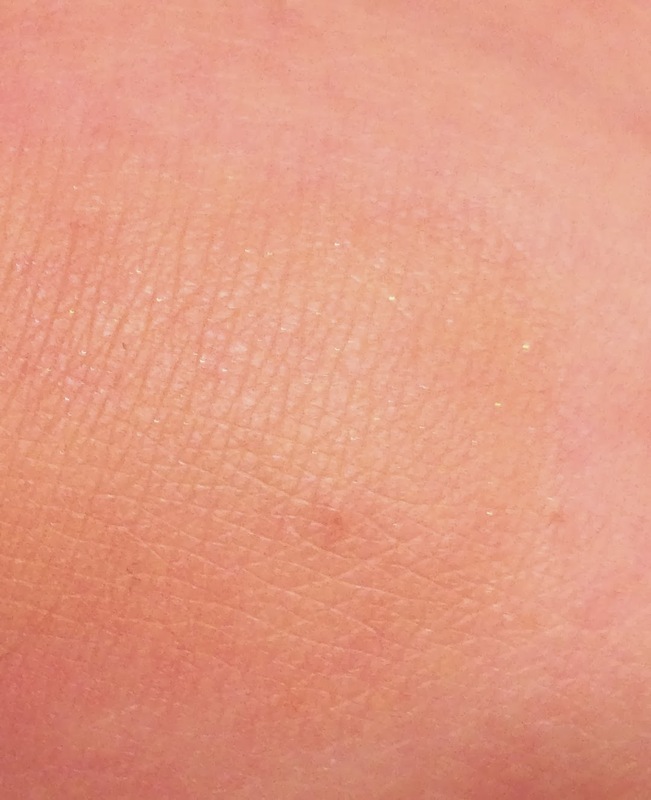 Once I applied it to my face and blended it out it worked for me, and would probably be my perfect Summer shade, but if I were to buy the full size I would go a shade lighter. Here you can see it blended out. 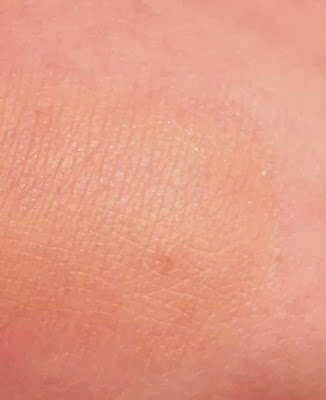 Do you see that bit of sparkle? It wasn't noticeable to me on my face, but again, this time of year I do not spend a lot of time outside so maybe it would be more apparent in brighter lighting. Final Thoughts: I would buy the full size of this foundation for the winter, but because of the low SPF and the shimmer I would have to try it out again in the Spring and Summer to see how it works for me then. 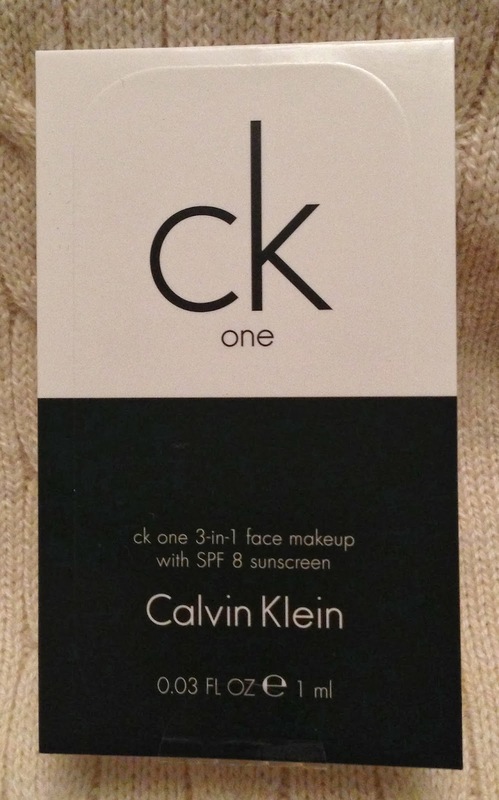 Have you tried the CK one color Foundation? What foundation are you using now and how is it working for you?